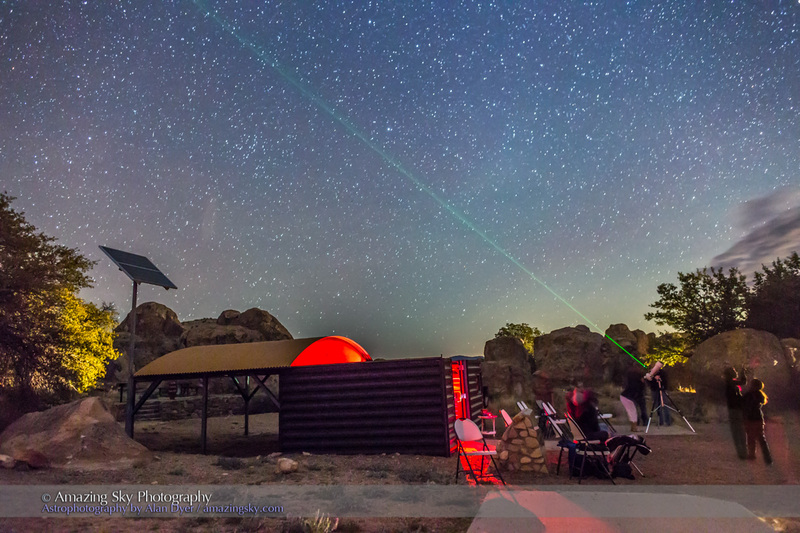 Laser beams point out Comet Lovejoy at a public star party at City of Rocks State Park. 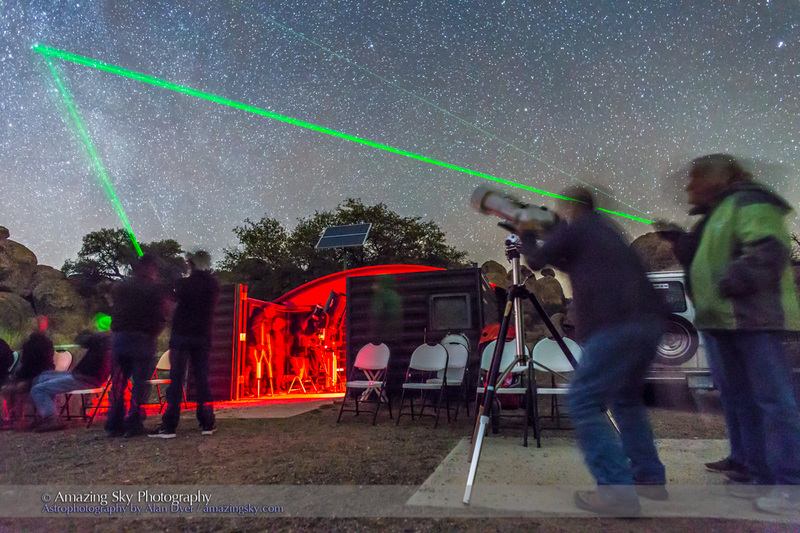 It was a perfect night last night for public stargazing. I headed out to the State Park for the monthly star party, held at the Orion group campground (with Orion nicely placed in the sky above) and home to a fine public observatory. 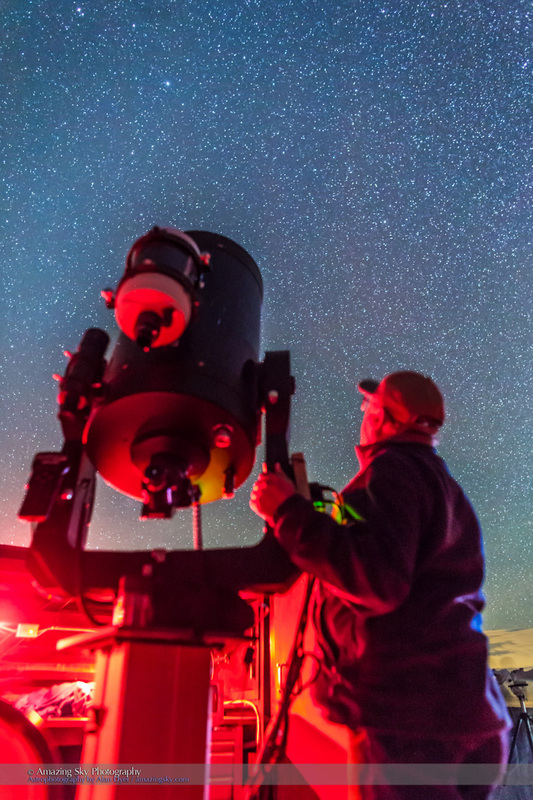 The Gene and Elizabeth Simon Observatory features a Meade 14-inch Schmidt-Cassegrain telescope which gave great views of Jupiter with one of its moons, Callisto, in transit as a dark dot on the face of the planet. About 70 people turned out, from the Park’s campground and from the nearby communities. Here Matt starts the night with a laser guided tour of the constellations. These bright lasers are wonderful for public events like this but when in the wrong hands they can be dangerous. 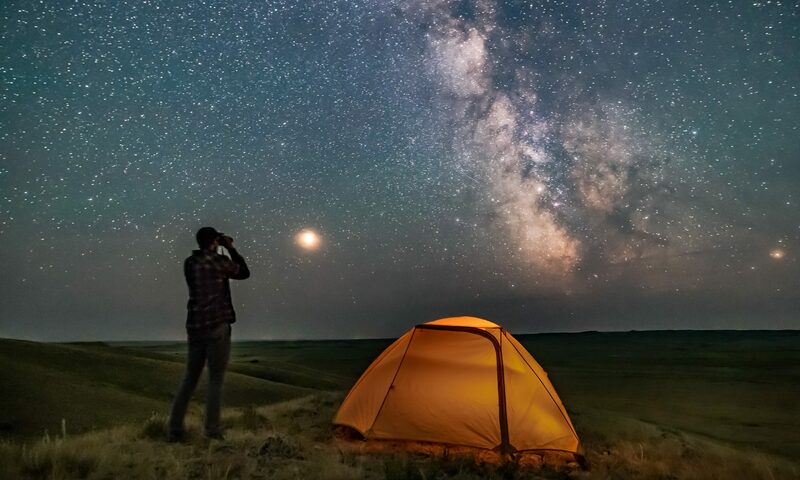 The Royal Astronomical Society of Canada has issued guidelines for their use. Check their webpage for more details. 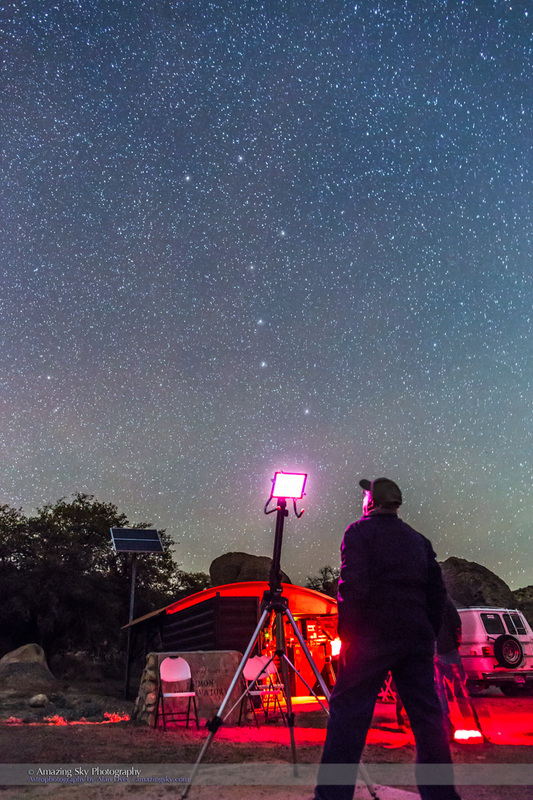 Another technical innovation popular at the City of Rocks Star Parties is an iPad running Sky Safari software, and on a tripod with handles so people can move it about the sky to identify stars and constellations for themselves. It works great. Here, I pose with it for a staged photo, with the Big Dipper in the background. Here I pose with the Observatory’s 14-inch telescope. 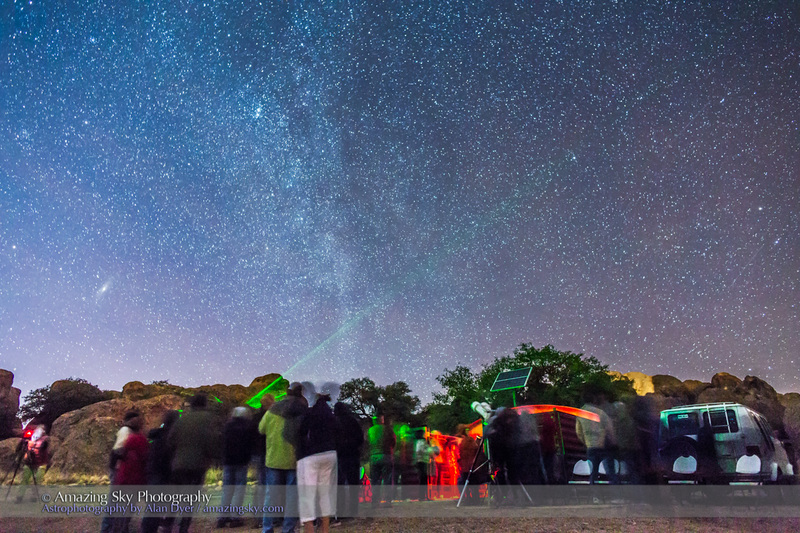 In all, it was a superb night at surely one of the finest places on the planet for public stargazing. I recommended to the Park officials that they should apply for official Dark Sky Preserve status. They would qualify without question.